Good morning to everyone except those who haven't listened to Thank U, Next yet. Ari has blessed us with another masterpiece but there's one track in particular that's been hitting us all in the feels. Ghostin is a song about "feeling badly for the person you're with bc you love somebody else. feeling badly bc he can tell he can't compare.... and how I should be ghosting him," the singer tweeted. 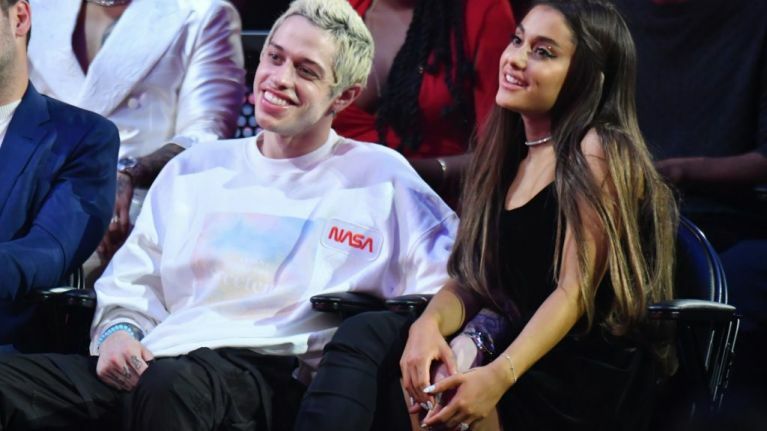 It's widely speculated to be about Pete Davidson, who she started seeing and got engaged to shortly after her breakup with Mac Miller last year. Mac died in September and she and Pete split not long afterwards. Fans reckon that in Ghostin's Ariana is speaking to Pete and addressing how she wasn't over Mac. "I know that it breaks your heart when I cry again/ Over him, mmh." "He just comes to visit me/ When I'm dreaming every now and then." Check out the lyrics in full here. Needless to say, Arianators have some serious feelings about the song. If you need us, we'll be in a dark room listening to this song on repeat.